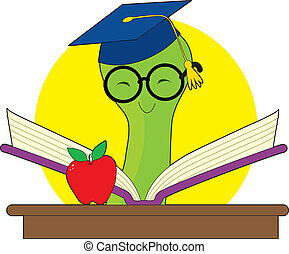 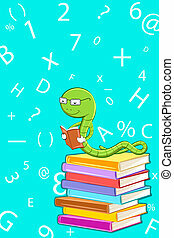 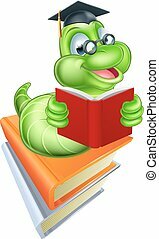 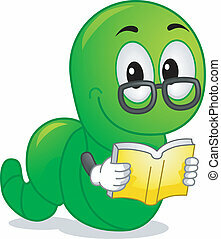 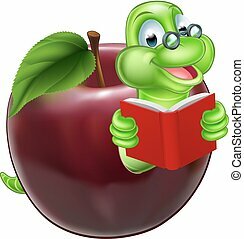 Green bookworm with a mortar cap reading a book on a desk with an apple. 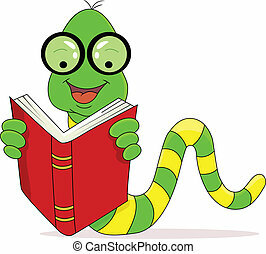 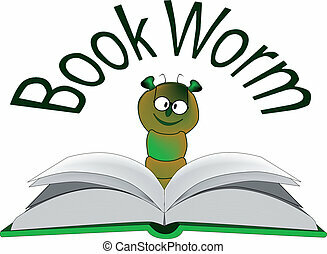 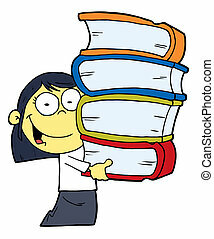 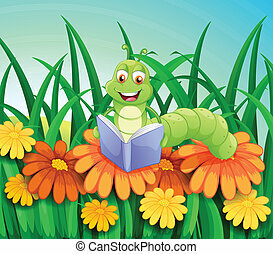 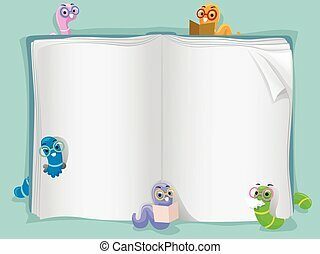 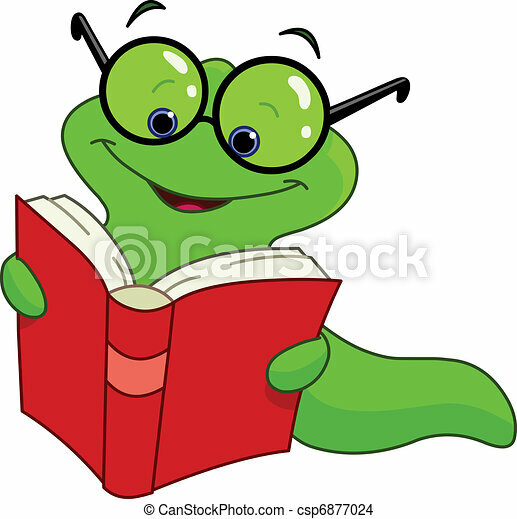 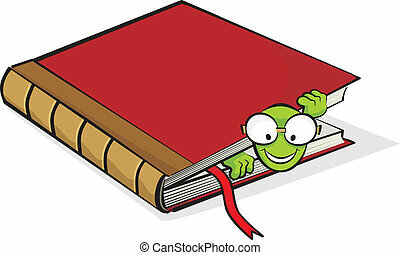 A bookworm reading a large hardcover book. 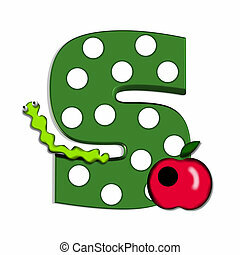 S, in the alphabet set "Apple for Teacher", is covered in large white polka dots. 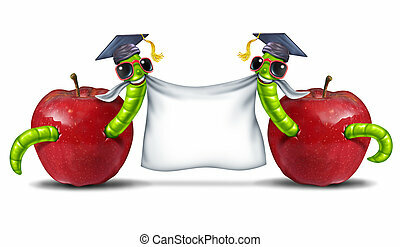 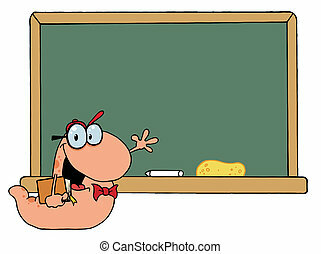 A bright green worm and a red apple decorate the letter. 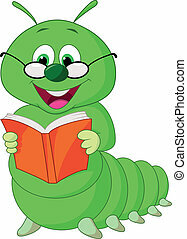 Letter is green.